Aspiring actress Lora Meredith meets Annie Johnson a homeless black woman at Coney Island and soon they share a tiny apartment. Each woman has an intolerable daughter, though Annie’s little girl Sarah Jane, is by far the worse. Neurotic and obnoxious, Sarah Jane doesn’t like being black; since she’s light-skinned (her father was practically white), she spends the rest of the film passing as white, much to her mother’s heartache and shame. Lora, meanwhile, virtually ignores her own daughter in a single-minded quest for stardom. I have admittedly not seem many of Douglas Sirk’s Films. However I know of the emotions they hold and the power in characters they can create. 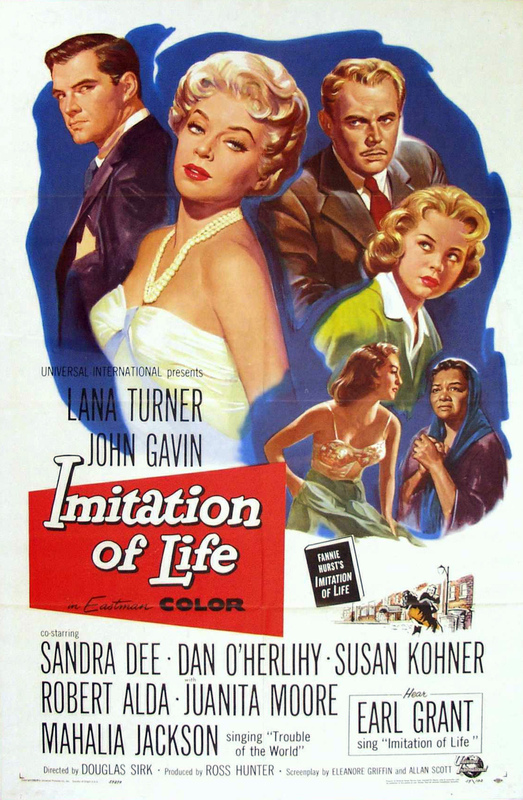 Imitation of Life is no exception to that. Although at times the films deep emotional ties may seem forced or over melodramatic to modern audiences, to anyone who can still invest in that classic melodrama Hollywood, the film is the kind of emotional journey and human examination that only Sirk seemed to handle so well. The film is a little over two hours long but never feels slow or under paced. It plays out smoothly with many emotional bumps along the way. The film does not have one underlining theme and never only focuses on one character. The story is about a make-shift family, their differences, their similarities and how they can each be angels but still make terrible mistakes at the same time. If anything the films one main conclusion is a look at how much things can change in such a small space of time and how things can play out in a completely different way, just through the small decisions you make in life. One of the films main themes is based around Lora, A single mother caught between her love and passion to work in the theatre, and her child. She fights to keep both sides of her life on track and even encounters a man that loves her and her child, however she is constantly being forced to push him away due to her growing ambition. She loses important moments in her life she knows she might never get back, but she gains wealth and security for her family. This shows how there are times in our lives we have to choose between two things we care about and though it may seem like a small decision in the moment, it can effect our life journeys massively. Racial difference is also a theme that boils under the surface of the film. Annie and Sarah Jane are the other half of this make-shift family living together. Annie is a Black woman living in a largely racist community and Sarah Jane is the White girl she has cared for since her parents died. Sarah Jane is constantly being made to feel guilty for having a Black mother. She experiences teasing and discrimination and tries desperately to distance herself from Annie, a woman that has done nothing but care, and given nothing but love to Sarah Jane. This issue is shocking at times and it is hard to picture the fact that in certain parts of the world, stories like this still happen to this day. People are still being knocked aside for seeming different and some of those like Sarah Jane are made to feel guilty for having association with someone different. This shows the shameful side of many human beings, however in the end something resonates with Sarah Jane that restores our faith in human behaviour – be it even a little too late. One smaller theme that arises later in the film is growing up. The two young girls of the film grow up to become very independent women that want nothing but to explore life under their own terms without feeling trapped or being treated as children. They are confused at what to do with their lives and feel like they are in love with different boys all the time. Only to find out maybe that young giddy and exciting feeling isn’t love after all, that maybe love is something much deeper than that. The girls slowly find this out as the film progresses along. They also come to terms with the fact that total independence is not such a great thing. That sometimes we all need help from people close to us. There are points in the film that certain characters are very strong, but like life there are times they are extremely weak. They all find out together that there is no shame at all in relying on people that love you in these hard times. Imitation of Life completely took me by surprise. You may feel you have the film solved after the first hour. Only to find the carpet is swept from under your feet, leaving you unsettled and confused about what are the right and wrong decisions to make – just like life. The film is a journey not of one character but of a family that were brought together by chance, the lessons they learn and the paths they choose to take. It is the story of the affliction and conflict we face in the world around us, and how sometimes we all need a little help. The film has a strong romantic, melodramatic feel that at times may be too much for audiences. There are moments that do not seem as real and moments with just the right amount of genuine emotion. However, all together the film is lovely to look at, feeling and sounding like the type of cinema that we sadly may never see again. 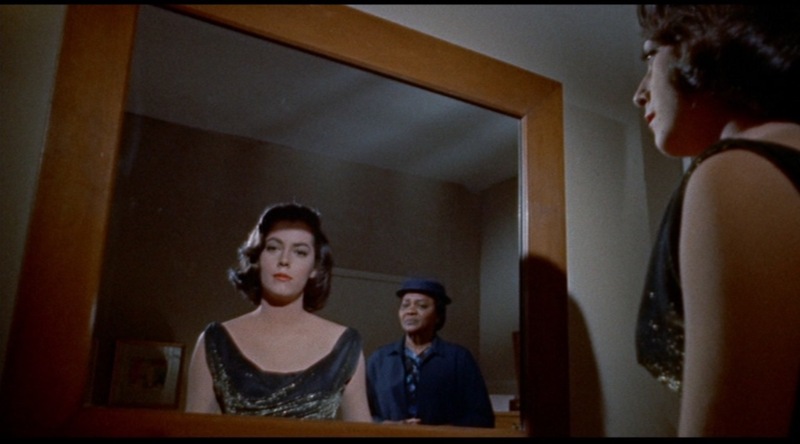 If you want an emotional look at life with many ups, downs and beauty in between – you will not find better than Douglas Sirk’s Imitation of Life. This certainly is a melodrama, a soap opera on film; but still very good, as you rightly say. Sirk’s films often deal with issues, some of which might seem tame by today’s standards. 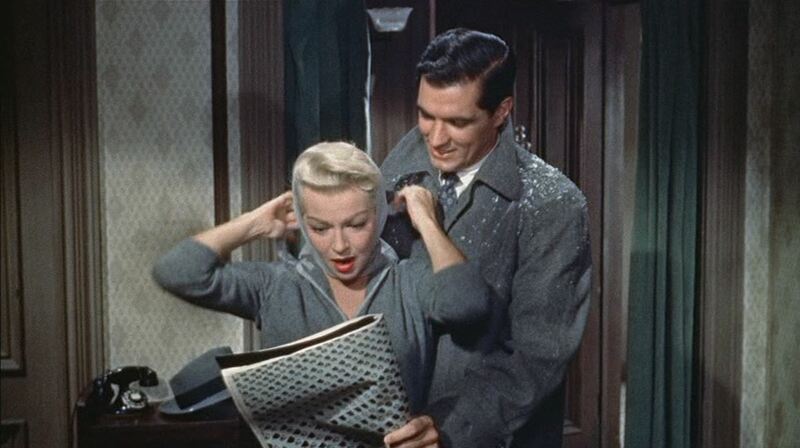 In ‘All That Heaven Allows’, there is the question of an older, upper-class woman (Jane Wyman) falling for a younger working man (Rock Hudson). In ‘Magnificent Obsession’, (same casting) we see issues of redemption, played out in the usual fashion. What makes Sirk’s films stand out for me, is the use of colour, often almost artificial in its vibrancy. The 2002 film, ‘Far from Heaven’, with Dennis Quaid and Julianne Moore is an homage to the content, and look of Sirk’s films. Great post. I have seen Far from Heaven. It is a brilliant nod to Sirk and Fassbinder’s Ali, Fear Eats the Soul. Which is also a great film. isn’t this a remake of something? i might be wrong about that but i have a feeling this story was done before back in the 40s. Yes, directed by John M. Stahl in 1934. I have never seen it though. ‘Fear Eats the Soul’! Now you are talking . One of the greatest modern films. Brigitte Mira delivers a fantastic performance. Here is my (short) take on it. (and some others). Film brain Niall, Claudette Colbert! Well done mate.